VANCOUVER — Two resolutions relating to the Clark County Conservation Futures Program were approved Tuesday by members of the Board of County Councilors. The Conservation Futures Program is designed to set aside natural areas in the county to preserve their habitat and lands for the future. On Nov. 7, 2017, members of the Board of County Councilors voted 4-1 to approve an acquisition of 10 properties under the Conservation Futures Program. The two resolutions approved Tuesday were related to that initial approval. The first resolution distributed Conservation Futures revenues to the cities of Camas, La Center and Washougal, as well as the Columbia Land Trust, to be used for the acquisition of park and open space lands. According to Pat Lee, Legacy Lands program manager for Clark County, the cities and land trust will take the lead on the actual land acquisition, and the agreements allowed under the resolution will be the mechanism through which the jurisdictions will be reimbursed by the county. 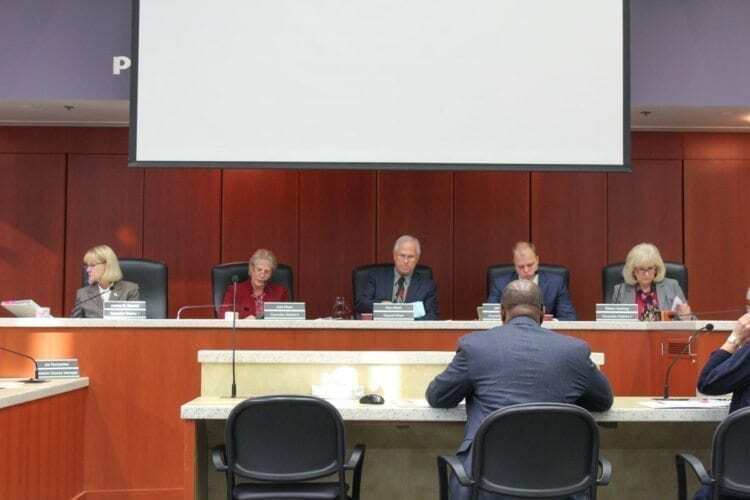 The four entities with which the county entered into an agreement will purchase six of the 10 properties identified at the Nov. 7 meeting, and the county will acquire the remaining four on its own account. In council discussion, Council Member Eileen Quiring said that she had voted against the original resolution in November. However, she said that she would approve the new resolution as it was a component of a resolution that was already in place. A second resolution from the Treasurer’s Office relating to the Conservation Futures projects was also voted on during Tuesday’s meeting. County council members vote to approve a $7 million bond that will be used to acquire and conserve 10 properties in Clark County. According to Duncan Brown, a financial advisor for the county, the bond resolution will allow the Treasurer’s Office to execute bond issuance, and the proceeds from the sale of the bonds will be combined with grant revenues to fund the 10 Conservation Futures land acquisitions. The amount of bonds issued is not to exceed $7.3 million, and the debt services will be paid over the next 20 years from Conservation Futures levies, a property tax levy. Council Member Quiring asked if taking on the indebtedness through bond issuance affected the financial rating of the county. Under the resolution adopted by council in November, no Conservation Futures levy increases were implemented. Quiring said that in November, she had voted against the initial resolution partly because she believed that rather than borrowing money to acquire the lands, the county should pay for them as they are acquired. “They’re all good projects,” Quiring explained, but she was not satisfied with the method of acquisition. Council Member John Blom disagreed. He said that pieces of land “are not commodities.” The cost of lands is increasing faster than bond interest rates under the current market, Blom argued, and by waiting to acquire the lands until a future date will constitute a waste because the county did not take advantage of current prices. Blom also said that the bonds should be issued now, because there is no guarantee that the lands outlined in the November resolution will be available in the future. The resolution passed 4-1, with Quiring the only dissenting vote. The resolution to enter into agreements with the cities and Columbia Land Trust is available online at https://www.clark.wa.gov/sites/default/files/dept/files/the-grid/2018/2018_Q1/d022718_PW_ExecAgreement_ConservationFutures.pdf. The resolution approving issuance of bonds can be found online at https://www.clark.wa.gov/sites/default/files/dept/files/the-grid/2018/2018_Q1/d022018_TR_BondsIssuance_ConservationFuturesProgram.pdf.